Our 2017 Spring trip to Europe using points as much as possible is coming together. Airfares to Europe are very cheap right now but I’d rather use points and go nearly free. I feel the same about hotels…there are affordable Airbnb apartments and small pensions, but I’d rather go free when possible. We are going to be traveling for 3 weeks so we need to conserve money for things we can’t buy with points…like great food! My goal is to keep this 3-week trip under $3000 total for both of us. We could get coach RT tickets from LAX to Rome or Madrid for about $600 per person but we just booked 2 one-way business class tickets on Iberia from LAX to Rome for 50k points and $124 per person in taxes, and we booked 2 one-way coach tickets also on Iberia from Madrid to LAX for 21,250 points and $125 per person in taxes. Two months ago we both signed up for the Chase Sapphire Reserve Visa with 100,000 Ultimate Rewards each. 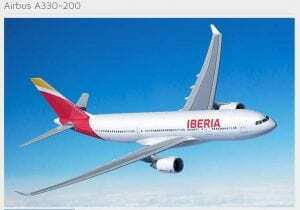 We transferred points from Ultimate Rewards, to British Airways, and then to Iberia. We decided to splurge on the trip to Europe with business class so we are refreshed for the vacation and we will go coach on the return then crash at home. I already posted about this great discovery of the new Le Meridien in Rome for 11,000 SPG/Starwood points. I also am heeding my own advice about saving money but not moving around a lot therefore we will take advantage of the 5th night free benefit and spend 5 nights in Rome. We haven’t decided exactly what we will do after Rome but there are tons of Airbnb apartments in Italy for under $70/night. Madrid is not an expensive city and we have stayed in small pensions and an Airbnb apartment several times in the past for under $50 per night. 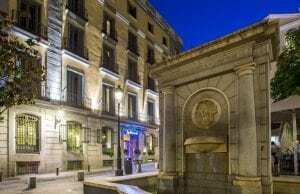 However, we had a lot of Club Carlson points and not many places where we want to go using those points so we are spending 70,000 per night in Madrid. It’s not a good value redemption but after a lot of research we decided Carlson doesn’t have hotels where we like to travel so we are canceling that credit card before the next renewal. The Club Carlson Visa has a $75 fee and you get 40,000 points. (When we got the card, we got a huge bonus and a free night at any Carlson Hotel each anniversary but Carlson took away that benefit and replaced it with 40,000 points, which isn’t much.) The chain’s foot print is pretty small, although we just used e-certificates and some points in New Orleans at the Country Inn & Suites near the French Quarter. But as I said, a free hotel is better than paying for a hotel. Decide where we want to go after Rome and before Madrid! We have 14 wonderful days to fill! Prev Cheap Points for the New Le Meridien Rome!